What So Sizzle Bout Sizzling Suzai - Malaysia Fashion, Travel and Lifestyle Blogger: How To Get The Nandos Make Friend Ajak Ayam 50% Off ?! 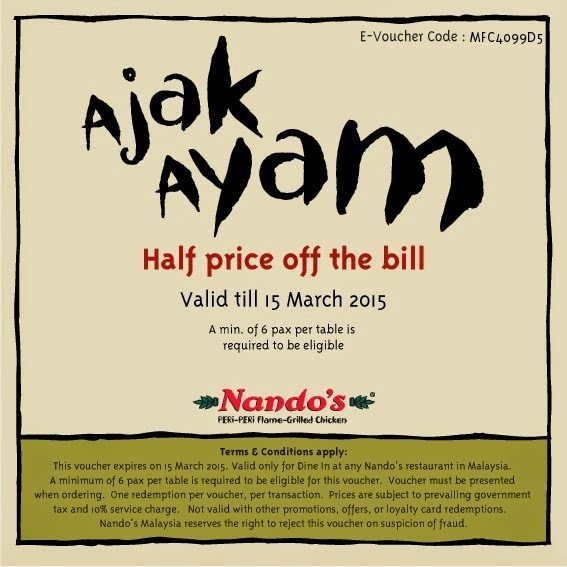 How To Get The Nandos Make Friend Ajak Ayam 50% Off ?! Again, i reckon that some of you might already annoyed by bunch of Nando's photos of in my IG LOL hahaha nah the full story is finally here! Nando's is so awesome for allowing me to throw a parteyyy with my dearest friends here. i was actually looking forward to meet each of them but surely time constraint and budgetary are the main concern HAHA. so, the genius idea from Nando's has solved it when i gotta chance to gather all of them in one time and even saved a lot when i should only pay half of the bill! Well actually this brilliant idea is a win-win situation between them and us, the customer. this is Nando's new campaign called as Nando's Make Friends Project via AjakAyam.com Basically the vision is to give you the chance to gather all the old-busiest friends and having a nice dining in Nando's with a 50% off the total bill! Yup ANYBODY is eligible to get the voucher. 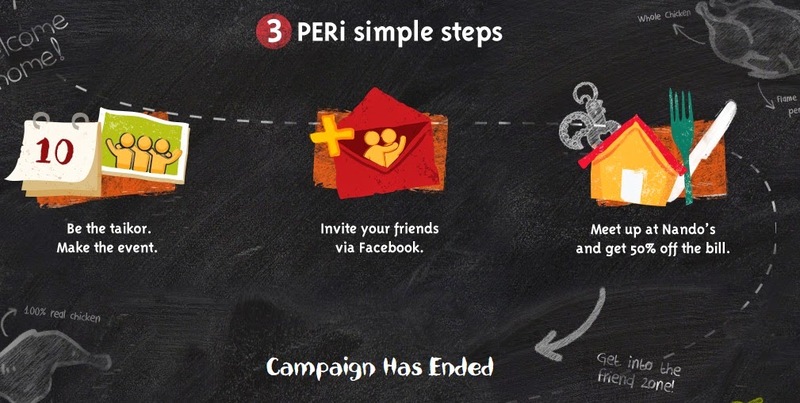 easy peasy, all you need to do is visit the page AjakAyam.com and invite your friends via FB and make sure ATLEAST 6 of them should ACCEPT the invitation or otherwise you fail to download the 50% voucher as followed.